5 Tips to Acquiring a Home Construction Mortgage 5 Tips to Acquiring a Home Construction Mortgage – MillionClues! Nowadays most homeowners prefer to build their houses instead instead of buying homes that are ready for occupation through mortgage. This is because building a home from scratch costs much less money. When you get a mortgage for a house that’s already complete, the lender will definitely charge you more money than when he gives you the money to build the house on your own. This is because the lender includes his profit in the price tag. The good thing about home construction mortgage is that it gives you the freedom of building your house the way you want. With ordinary mortgage, you just have to settle for what is available. However, a construction loan is a bit tricky than an ordinary mortgage. This is because there are several things that you have to do before the lender approves your loan. Below are tips that can help you get a construction loan stress free. An architect is your ultimate companion when you are looking for a construction mortgage. The advantage of involving an architect right from the beginning of the project is that he is able to design a house by factoring on your budget estimate. This is where some homeowners get it wrong. They just buy a home design or download one from the internet without considering the amount of money that they would need to finish such a house. In the final end, they get stuck in the middle of the project, simply because they borrowed less money. When you are guided by an architect, you will borrow money that you are double sure is sufficient to complete the project. Before you apply for a construction mortgage, it’s important you first find a reliable building contractor. This is because the lender will decline your loan application if they realize the project is not being handled by a building contractor. In fact, you should not just hire an average contractor. You should only hire the best contractor in the industry, especially those that are registered and can refer you to similar projects that they have completed successfully. When hiring such a contractor, you should ensure that both of you are bound by a written contract agreement. You should attach a copy of the agreement in your loan application. 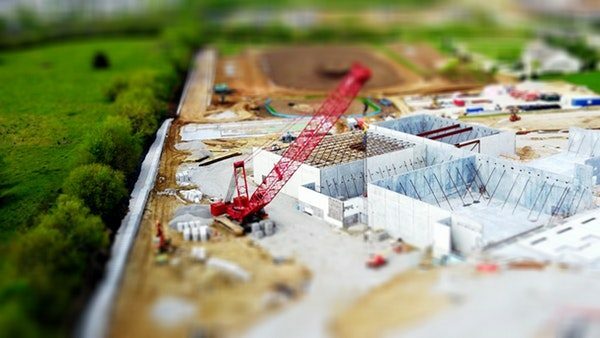 Hunting for a construction loan can be a daunting task. This is because there are many lenders out there who are looking to make a kill without considering your interests. When you seek counsel from a reputable mortgage broker such as Altrua Financial, you are likely to get the best deal. This is because they are very knowledgeable on real estate matters. They will therefore make it easier for you to find a lender that offers a low interest rate. If you opt to shop alone, you may take a long time to find the right deal. Such delays can work against you considering that interest rates keep changing. Building mortgage lenders make money when their debtors pay their loans. They are therefore very strict when approving loans. For a start, they avoid partnering with people that have a poor credit score. A low credit score implies that you have a habit of not paying debts. If you have some unpaid debts with other lenders, including credit card companies, you should first settle those loans before you approach a mortgage lender. The duration of the loan is what exactly determines the interest rate that you will be given. Loans that come with a long duration of payment normally feature a high interest rate. The downside is that they attract a high monthly payment. Short term loans on the other hand attract a low interest rate because the borrower is required to pay much more money every month. A short term loan is recommended for those who wish to sell their house once it’s complete. Long term loan is ideal for homeowners who intend to convert the loan into an ordinary mortgage when the project is finished.